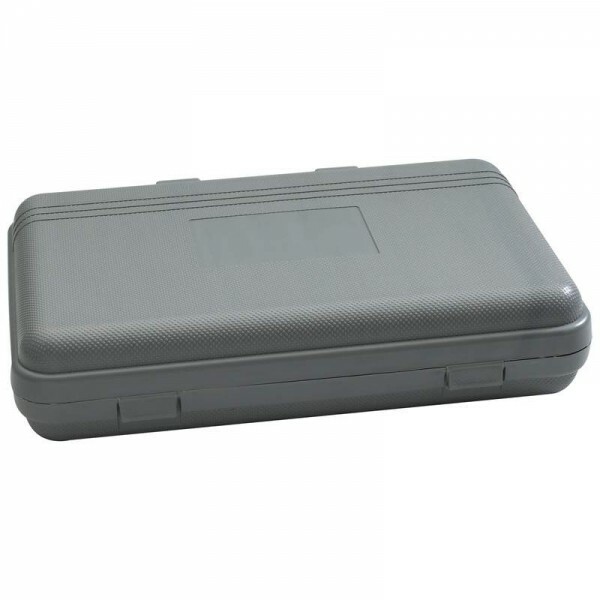 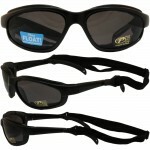 With gray blow-molded case that carries two binoculars. 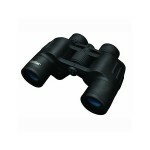 Two pcs binoculars set for hunting and boating from Magnacraft, 4×30 binoculars for concerts and sporting events. 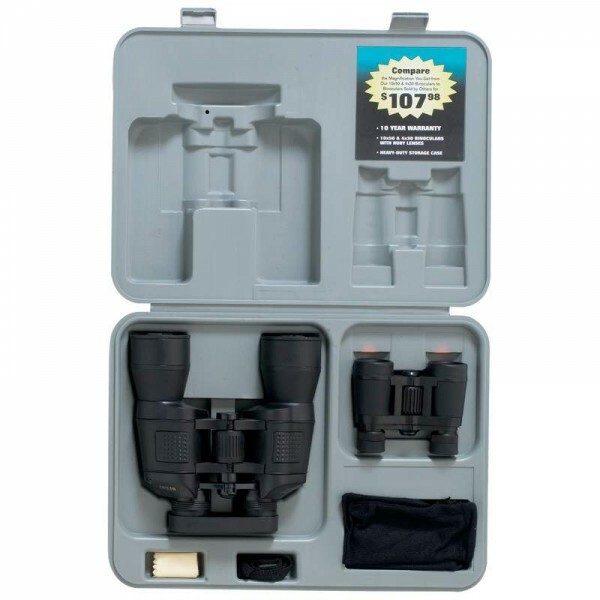 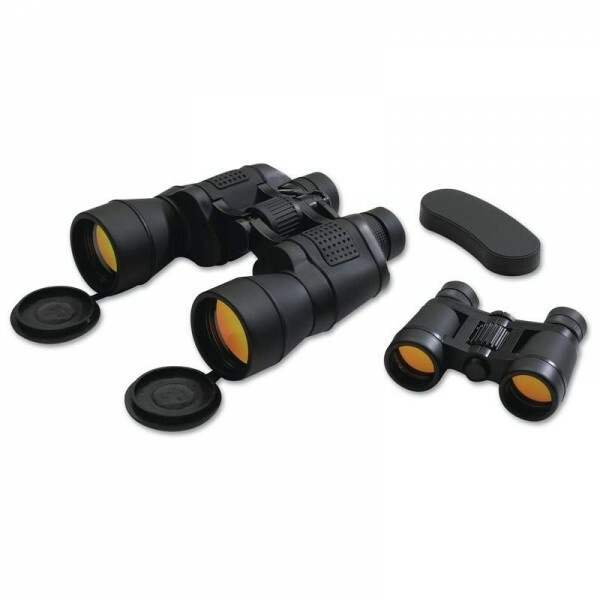 10×50 binoculars feature hinged 6″ barrels, center wheel focus, finger mats, thumb grooves, neck strap, rubber eyecups, ruby red lenses for glare reduction, lens covers, and cloth drawstring carrying case.